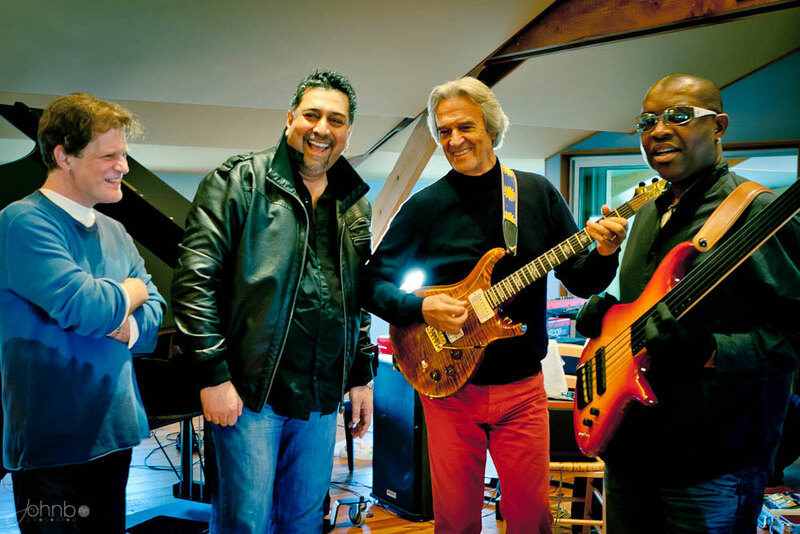 John McLaughlin & the 4th Dimension Tour with Gary Husband (keys and drums), Etienne Mbappé (bass), Ranjit Barot (drums). Thanks for playing in Oslo again! This will be something to look forward to! My brother and I have already got our tickets for the Barbican show in London. We’re very excited and are looking forward to see you and the 4th Dimension play live again. Where are tickets for the Oslo-concert available? 2 shows in Oslo ? Wow….hope it’s not a typo…… Which venue, and when are tickets available ??? You’re playing to Wroclaw, Helsinki, and twice in Oslo, but not in Copenhagen!!!??? How disappointed can I be right now. Saw the original Mahavishnu Orchestra at the Berkeley Community Theater in the fall of ’72, and have been waiting ever since to be in the right place at the right time. Now I live in Copenhagen (which is really a really cool and layed back town). Right now I’m listening to « In a Silent Way » and decided to Google the man who I consider to be absolutely one of the greatest guitar players ever, just to see if I can get lucky. OK, if I have to take a flight to Oslo, I guess I will, but believe you me, if you were to put in a concert in Copenhagen somewhere in there, you would not only sell out any big venue here, you would also make a lot of people very happy. I’ve actually left a comment earlier complaining about the lack of a date in Copenhagen, but I guess that you cannot take even positive criticism in this forum and only wish back clappers. What a shame. Where and when can we buy tickets for these shows? I can only find tickets to the 11/11 London venue. Great news! I am really looking forward to seeing and hearing John and his present band here in Oslo! Hello, can you tell us when tickets for Bordeaux will be available? Ireland’s number one McLaugh fan, here. Seen the king in Dublin a couple of years ago and also in Belfast for the Belfast Festival-as well asEdinburgh during his Que Aliguera tour. Monumental! I do wish hecould come back to Ireland, again-preferably in Belfast. THE most important musician to come out of the last 50 years. Thanks, John. Will you play in Paris on october 29 ? Another concert in schedule at Trianon at this date ! Hello, are the dates for Russia correct? In St.Petersburg tickets are sold for 16.11 (NOT 17.11). Please doublecheck. Sorry, but Minsk isn’t Russia! ))) BELARUS is the name of our country! Please, correct it! And welcome to Belarus! Here some photo from concert on November 17th in Moscow, Russia. Thanks alot for your visit! Hey, all fans of John: Why don’t you all post information about tv transmissions of JMcL – concerts being aired by tv stations! when are you guys playing in toronto or montreal.